This is a very simple and delicious one. This is more nutritional too. Within a jiffy, you can prepare this and serve. Everyone in the family will enjoy this and opt for a quick meal. 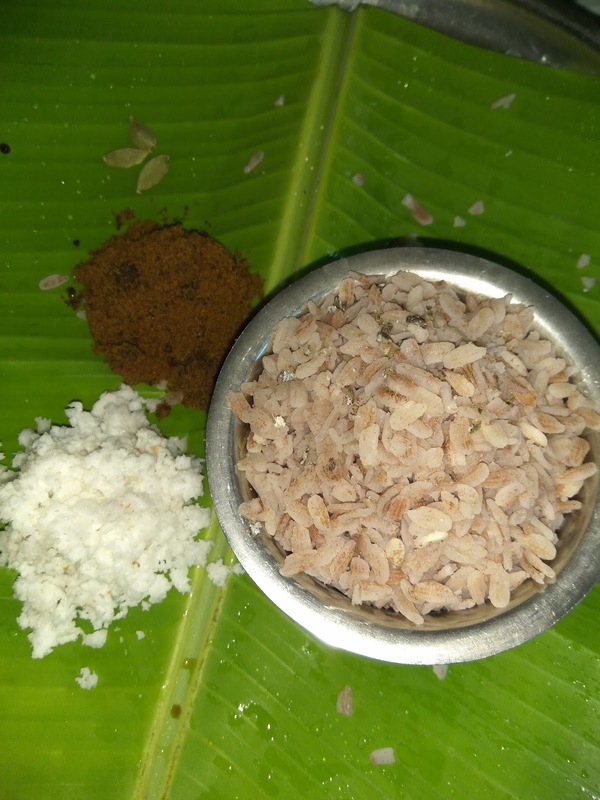 I opt Mappillai chamba rice aval/poha/flattened rice always why because this variety rice restores all the nutrition we needed. Mix all the ingredients gently. Serve/offer this sweet delicious aval to your loved ones.